Cooking is a huge part of the holiday season, and having the right gear and gadgets is key to making sure you have a successful meal. Between roasting turkeys, baking pies and holiday cookies, and getting little tummies fed in between, sometimes it can feel like we spend all day in the kitchen. Our gifts for the home chef cover the bases for every person who loves to cook – whether it be large dinner parties, like for the holidays, or for everyday cooking and baking. We are sure you will be able to find something perfect for the chef in your life, so check out some of our favorites below. 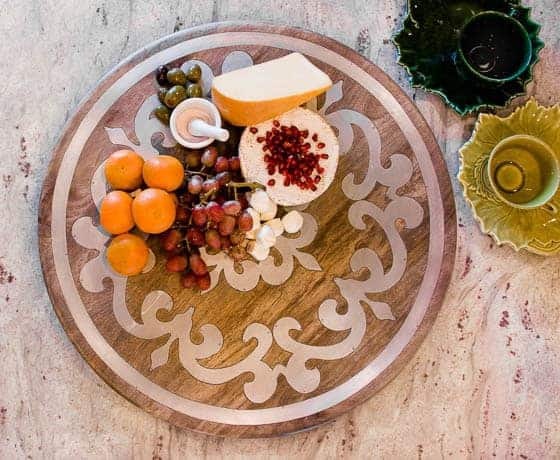 Truly a must-have for every family to gather around this holiday season is the wooden lazy susan with metal inlay by GG Collection. 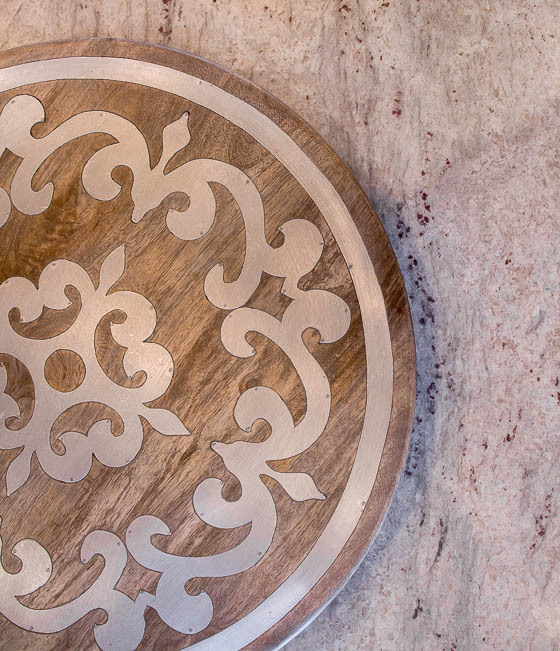 This tuscan inspired lazy susan is timeless. 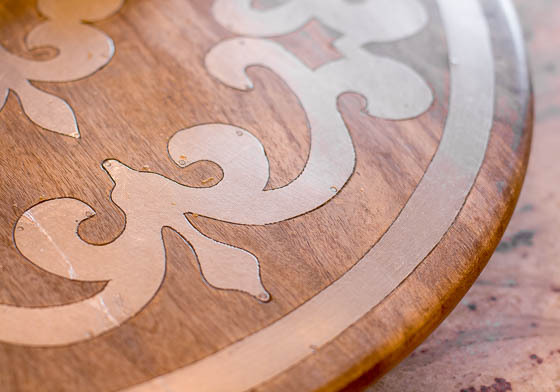 We love that it is hand-carved from mango wood, a sustainable hardwood, and it has a scrolled metal inlay. Every hostess will enjoy serving their delectables off this lazy susan for years to come. Perfect gift for anyone who loves to entertain! GG Collection was created by two friends who were passionate to design decor products that were both classic with modern influences. The Heritage Collection is Tuscan inspired, and combines a mixture of woods, metals, stoneware, and hand blown glass to create a relaxed European look. Focus is placed on finding resources that are both unique and sustainable. One of the unique features of the Heritage Collection is the utilization of mango wood as a sustainable hardwood. The wood is resourced after the mango tree has reached its full maturity at 15-20 years and is no longer able to bear fruit. 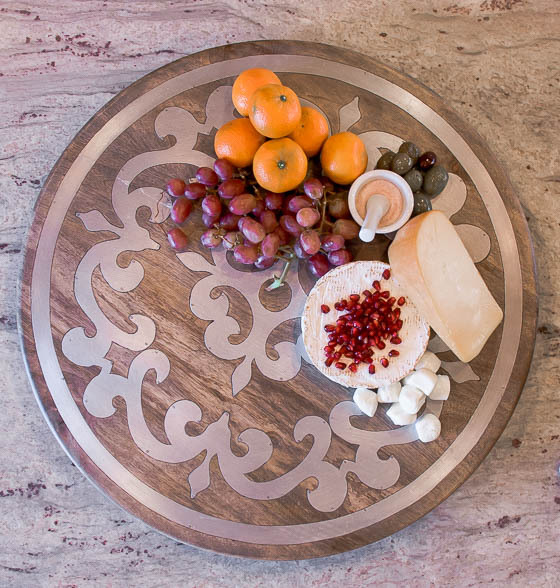 The mango wood has a beautiful grain to it and is the main feature from their serving pieces to home decor. 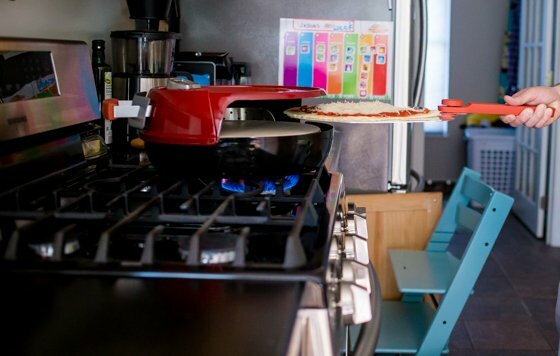 If you are looking for an easy way to create pizzeria style pizza in your own home, look no further than the Pizzacraft’s Pizzeria Pronto Stovetop Pizza Oven. 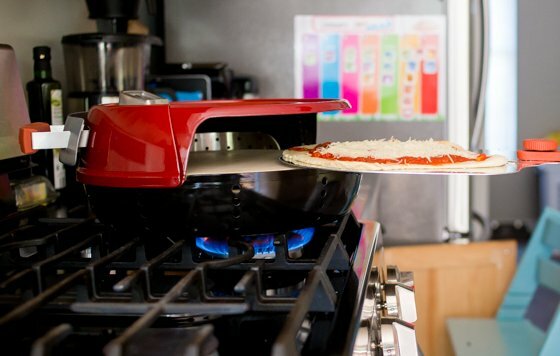 Designed with ease of use in mind, Pizzacraft’s design quickly turns any gas stove into its very own pizza oven. Everything you need to make your own pizza creations is included, so all you need to do is put it together and you will be on your way to making delicious pizzas in no time. The Pizzeria Pronto has a heat efficient design where it traps heat and utilizes the power of your gas range to create the perfect cooking environment with temperatures up to 600 degrees. The top vents help keep your pizza crisp, and the thermometer will make sure your delicious pizza is cooking at the perfect temperature. As easy to clean, pack-up, and store as it is to use, you will not be disappointed. Perfect gift for anyone who loves the tradition of a weekly pizza night! 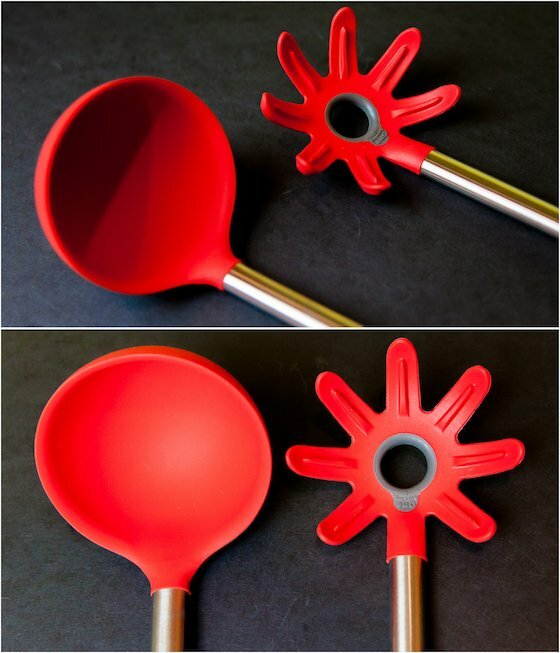 Pizzacraft is an innovative company producing almost every kind of pizza making tool you can imagine. 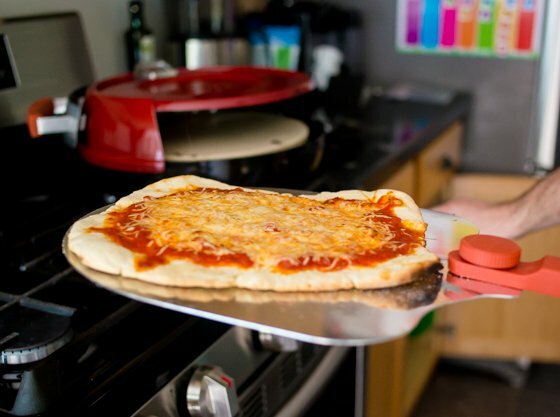 From portable pizza ovens, to pizza stones and peels, they produce everything you need to turn your kitchen into your very own pizzeria. Offering quality products for an affordable price, Pizzacraft makes the perfect gifts for the pizza lover in your life. 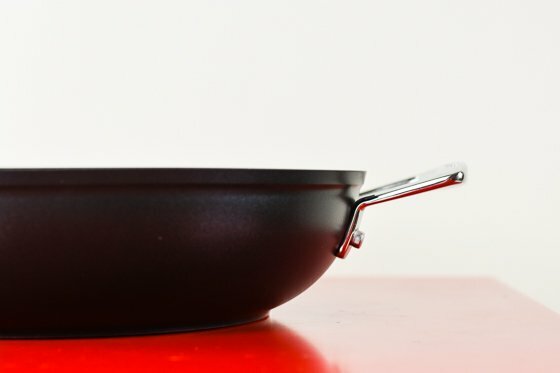 Pantelligent is an award winning pan that will change the way we all cook. 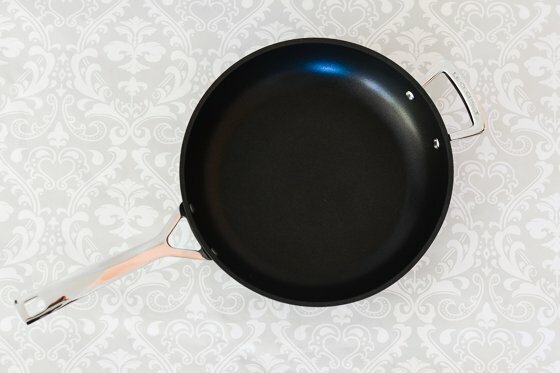 Pantelligent is a frying pan that has a sensor built inside that links with the Pantelligent app. The pan communicates with the app so the app can monitor the temperature and tell you when to flip your food over or add more ingredients. 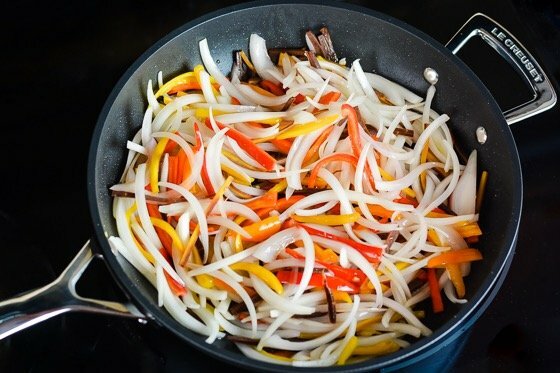 Seriously, Pantelligent walks you through the cooking process! It is amazing. 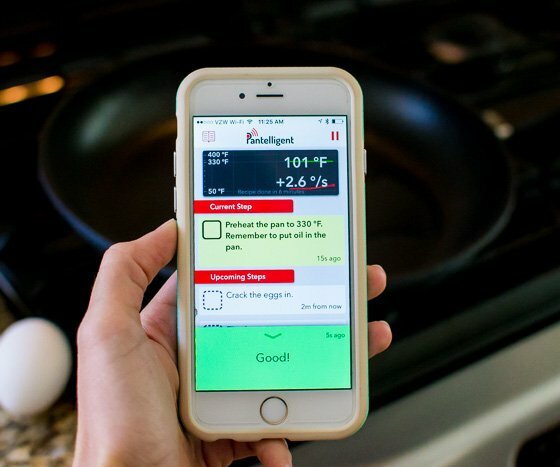 If your stove gets too hot, the app will let you know and you can adjust the heat accordingly. All you have to do is tell the app what you are cooking. For example, if you are cooking a steak, you can input how you want the steak cooked and Pantelligent will monitor the temperature and tell you when to flip and when your steak is done. There is nothing worse than overcooked food, and you can avoid that with this intelligent cooking tool. Even a tired mom or dad with three kids all whining at dinner time while Paw Patrol blasts loudly in the background can get through cooking dinner with this pan! Perfect gift for aspiring foodies who need a little assistance in the kitchen or busy parents who want to cook more healthy meals at home. Pantelligent is a company dedicated solely to making it easier to cook delicious food, perfectly at home. By combining the technology of smartphones and apps with a classic cooking pan, they do just that. Pantelligent even has recipes built in the app. Talk about taking the work out of cooking! Just gather your ingredients and start cooking. Pantelligent makes it simple to cook healthy meals. No more burnt salmon or overcooked steak. This company makes it possible for even the least skilled home chef to cook like a professional. 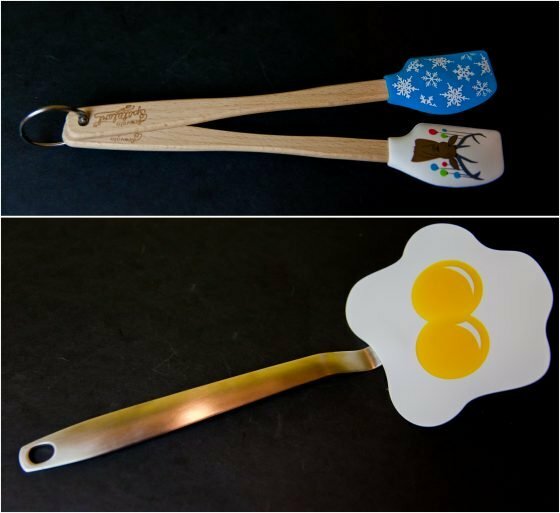 Certainly we all have someone in our life who needs a little assistance in the kitchen, and Pantelligent offers the perfect gift for that person this year. With a trusted name like Le Creuset, the home cook on your holiday shopping list this year would consider any item from their line a true treat. The non-stick 11″ extra deep frying pan is no exception. 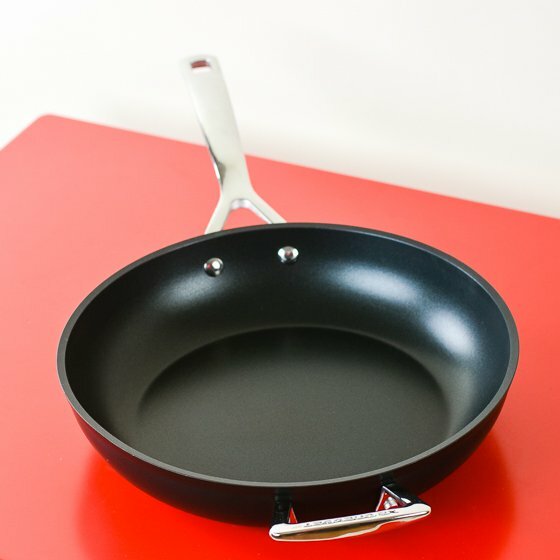 This nonstick deep frying pan is a classic staple for any kitchen, but what makes it stand out is all in the details. 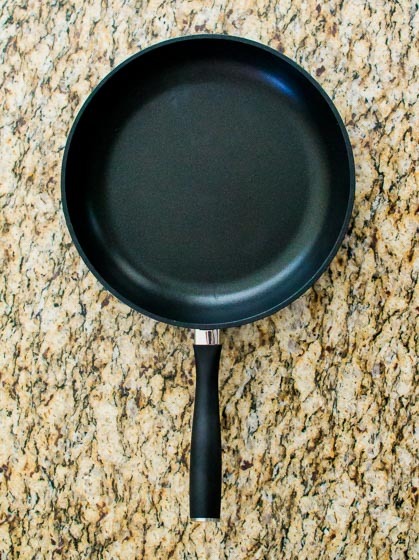 The depth of this pan makes it superior in splatter protection. Its stay-cool handles provide heat protection while cooking, and the magnetic stainless steel bottom creates a non-slip, sturdy base for optimal cooking on all types of surfaces. This exceptional pan is lightweight, but its hot-forging manufacturing process guarantees it will never warp – you can even use it inside the oven up to 500 degrees! And when you’re done cooking, don’t waste time hand washing this beauty. It’s dishwasher-safe. Perfect gift for the home chef in your life who appreciates quality, long-lasting, and essential cookware! At the turn of the twentieth century, in the midst of all the culinary innovation and change, Le Creuset introduced the first vibrant, flame-colored enameled cast iron cocotte in 1925. 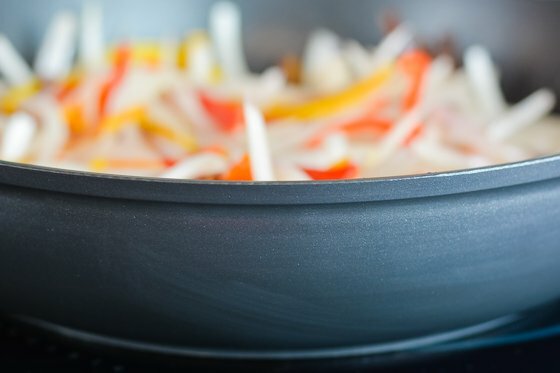 From their original enameled cast iron cookware to stoneware, stainless, silicone, and more, Le Creuset has grown to offer products across a range of materials and categories that guarantees the right tool for the right job. Le Creuset has been a valued and trusted name in cookware for the last 90 years. If the home chef in your life needs one pan that truly does it all, or the cooking novice simply needs a pan that they can’t screw up a simple over-easy egg in, then this holiday, give them the gift that will stay in their kitchen for years, the 5 Piece Cooking System by Copper Chef. This unique and amazing deep sided, 9.5″ square pan features a Cerami-Tech nonstick cooking surface, making it simple to cook without the dreaded butters and oils, and gives you more cooking surface area to fit more food. This 6-in-1 pan can easily replace your stock pot, rice cooker, frying pan, roasting pan, wok, and baking dishes, making it the perfect gift for minimalists, foodies, and mamas with large families everywhere! 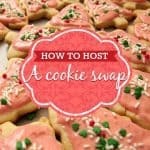 Use it in the oven or on any stovetop and then stick it in the dishwasher for convenient cleanup. Perfect gift for the home cook whose dream is to make it onto Master Chef one day! Eric Theiss’ passion for the culinary world started as a child at the humble age of 6 when he was given his first cookbook by his mother. His career started as a chef, blossomed into a fine dining restaurant and bar owner, moved into the culinary broadcasting world, where he developed culinary products for major live shopping networks and celebrity lines, including his own, and now publishes cookbooks and pamphlets. 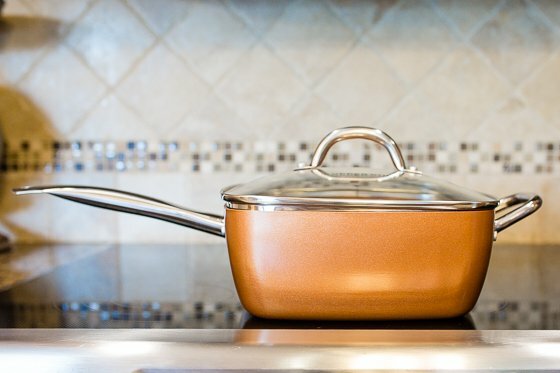 He endorses Copper Chef and believes in the versatility that this one pan offers, making it a staple in his own kitchen, and encouraging consumers with this easy, healthy, and time saving way to cook. 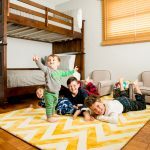 For most moms, mornings are full of hustle and bustle getting the kids up, dressed, and fed before off to a day of activities. 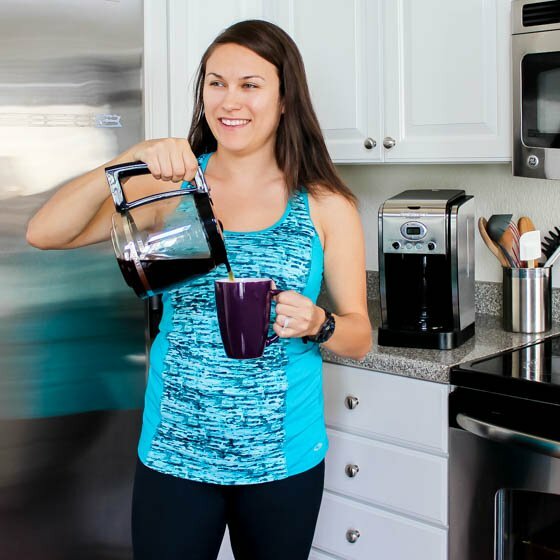 Starting the day with a hot cup of coffee can make or break that early day routine, and gifts that can help simplify that time of the day will be a winner in any household. 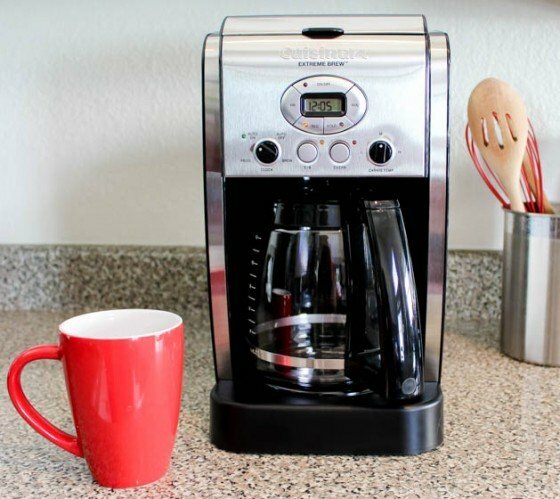 The Extreme Brew 12-cup programmable coffeemaker from Cuisinart is a huge timesaver for those who need that kick of caffeine to get the morning rolling. With easy to use timer settings and the ability to select your java’s strength, your gift recipient can set up an overnight brew that will be ready when the alarm goes off. 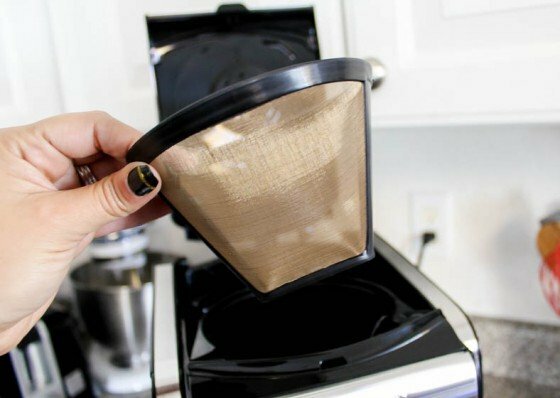 Who doesn’t love waking up to the smell of coffee wafting through the house? For added fun, instead of wrapping this gift under the tree, set it up ready to go on the counter with a decorative bow so you can enjoy a cup while the rest of the household starts to wake. Perfect gift for the early morning warrior. Cuisinart has been bringing the best household appliances into kitchens since the 1970s. 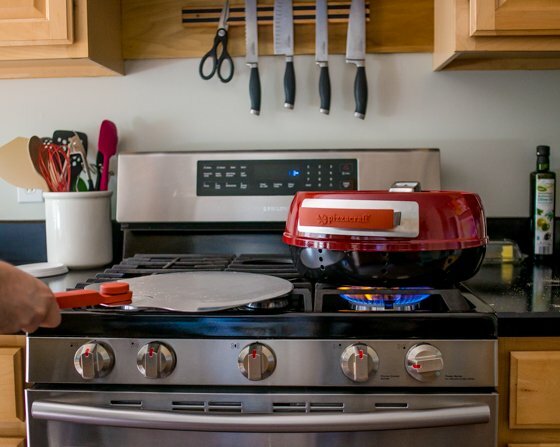 With a focus on home cooks, their products have been designed specifically to improve the lives of families with quality products that make healthy and gourmet cooking easy. Working hand-in-hand with expert chefs (including Julia Child and James Beard in the early years), Cuisinarts mission is to keep culinary education alive by providing cooking skills for every level of cook. 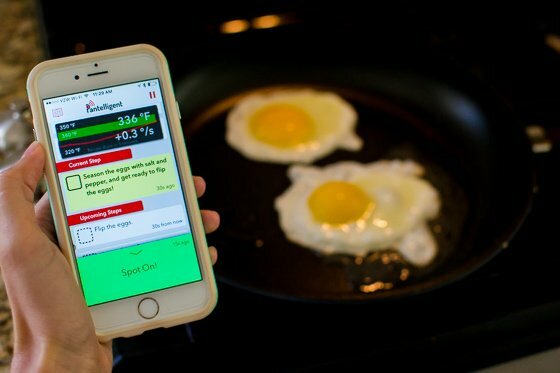 Their KitchenSync app is a wonderful example of how Cuisinart is helping make mealtime easier, with easy access to hundreds of recipes, digital grocery lists, and a full glossary of cooking terms and techniques. This holiday season is busy enough without the additional time required to prepare a home-cooked meal for the family, and it usually doesn’t slow down with the new year. 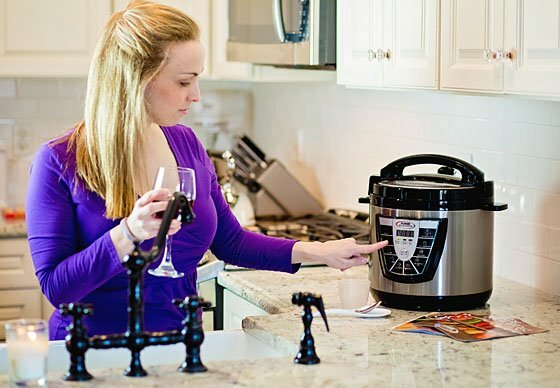 With that in mind, give the gift of a delicious, home-made, slow-cooked meal cooked 70% faster with the Power Pressure Cooker XL. 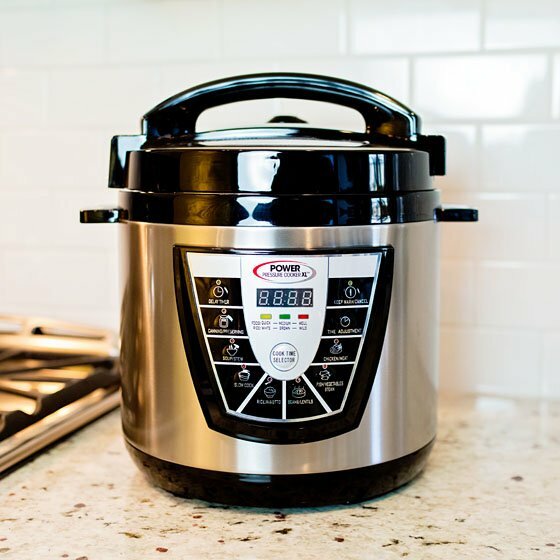 The Power Pressure Cooker XL is an even better version of a crock pot that allows you to prepare perfectly cooked, mouthwatering meals for your entire family up to 70% faster than conventional ovens. The secret is the Power Pressure Cooker XL’s air-tight lid. It locks into place, trapping super-heated steam inside. The hyper-pressurized environment forces liquid and moisture into your food, locking in loads of intense flavor and essential nutrients. Just set one of the pre-set buttons and let it do the work. Your family’s favorite homemade meals cook to perfection quickly and easily, all in one pot. Not only is it great for cooking some of your family’s favorites, but it’s also ideal for canning fruits, vegetables, and more. 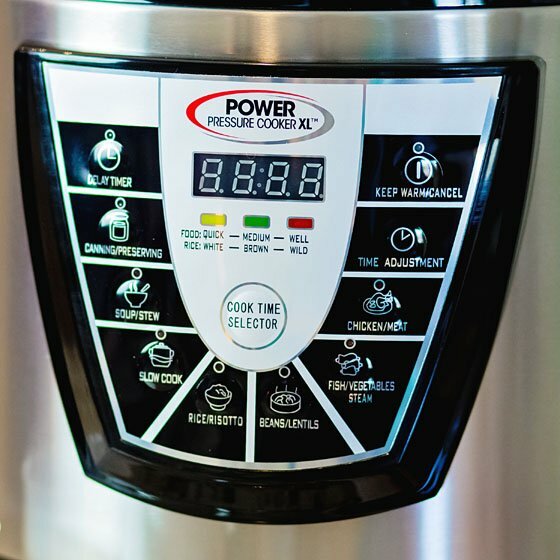 Available in 6, 8, and 10 quarts, featuring 1-touch preset buttons, nonstick and dishwasher safe inner pot, safe lock lid with manual steam release, digital display panel, automatic keep warm mode, and built-in safety features. 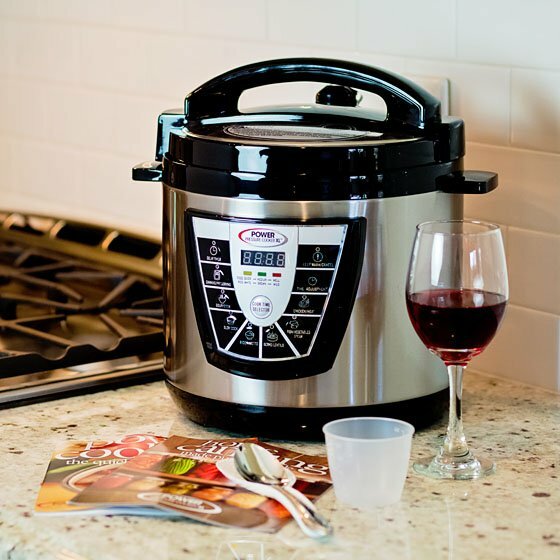 Perfect gift for the home chef who wants to provide their family with a home cooked meal in a fraction of the time. 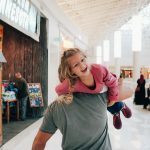 Fusion Life Brands is committed to helping health conscious people eat better, relax more, and live more fulfilling lives through their ever growing categories of food processors, juicers, cookers, exercise equipment, and healthy living products. Delight family and friends this holiday season with a jar of pickles from Mrs. Pickles Gourmet. With all of the sweets and treats of the holidays, pickles are a refreshing option when it comes to giving food. Whether they’re put in a stocking, wrapped under a tree, or given to a hostess, you can be pretty sure they won’t have already received a dozen of this unique gift! 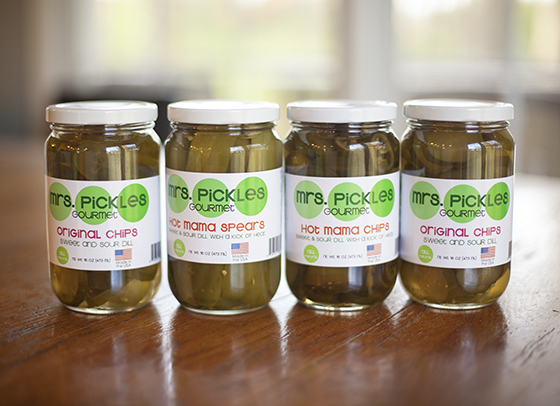 Mrs. Pickles offers four varieties of pickles in two different flavors that give your taste buds a break from what you might be used to. The original sweet and sour is like no other pickle we’ve tasted and will have you hooked on the first bite. The Hot Mama variety takes the sweet and sour up a notch with a kick of jalapeño! You can purchase either flavor in chips or spears. 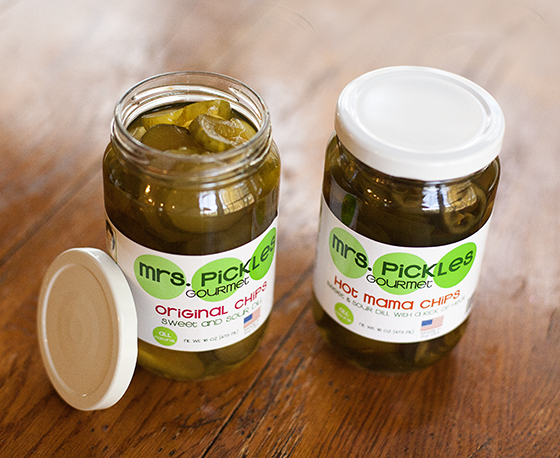 Besides the unique flavor, our favorite thing about Mrs. Pickles is that they are hand packed and all natural . 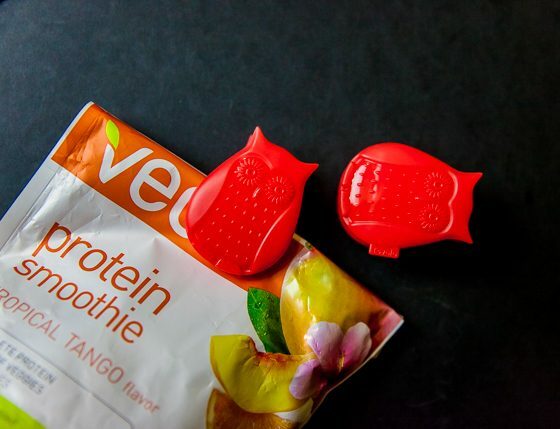 . . completely free of preservatives, dyes, and chemicals. Choose the 3 pickle jar pack featuring sweet and sour chips, sweet and sour spears, and Hot Mama chips, or choose a full case of 12 jars. We promise you won’t be disappointed. 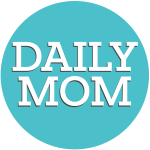 Use discount code DAILYHOTMAMA for 10% off your purchase! 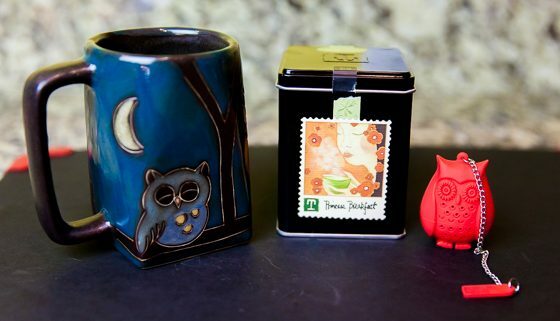 Perfect gift for stockings, foodies, hostesses, teachers, or anyone else you’d like to treat to a small, tasty gift. 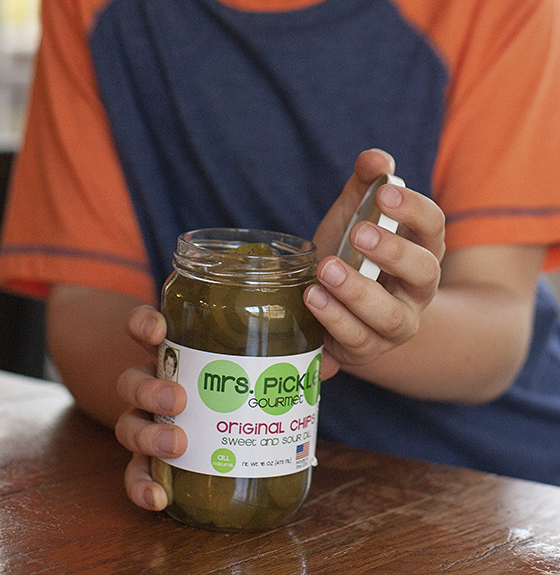 Mrs. Pickles Gourmet is distributed by Lynnae’s Gourmet Pickles and began with a closely held secret family recipe. President Aly Cullinane had to wait seven years until she married Grandma Toots’ (referred to as Mrs. Pickles) great-grandson before she was entrusted with the coveted process. 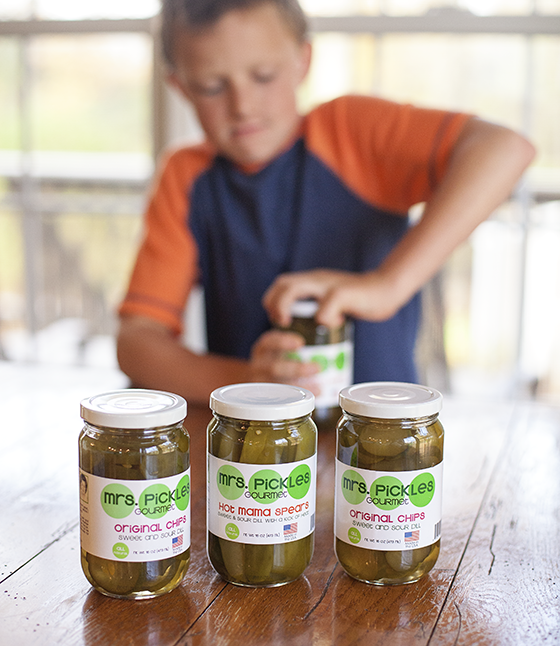 They believe in pickles: crisp pickles, delicious pickles, and pickles free from preservatives, dyes, and other chemicals. 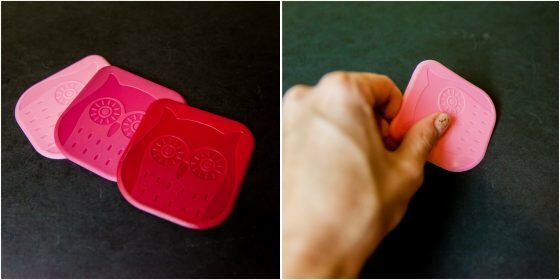 Tovolo is a creative kitchen company that uses silicone to make the safest and most useful cooking tools and accessories around. They have products that make cooking, and especially cooking for kids easy. Here are some of the amazing things they are offering right now. Any of these would make great holiday gifts or stocking stuffers. 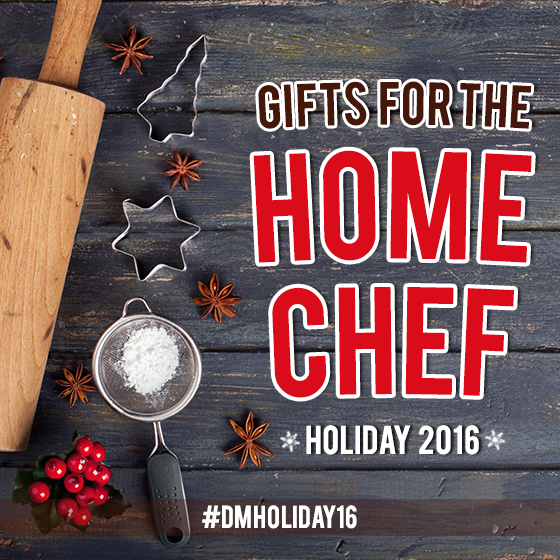 Perfect gift for home chefs who like creatively simple solutions that make cooking easier. Tovolo believes that cooking should be fun, and they want to make that true for everyone! Any home chef can express themselves with all the beautiful designs available on Tovolo products. By offering the latest in kitchen innovations, Tovolo makes cooking easier as well. 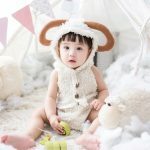 You can find products for kids, baking, and cooking from this company, and it is all easy to find and add to your kitchen through their shop on Amazon! 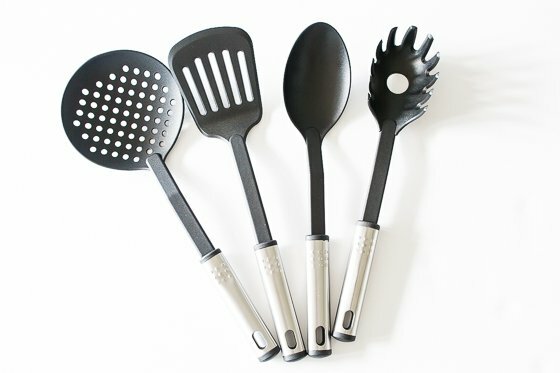 From ice pop molds to spatulas, Tovolo kitchen tools are safe and easy to use and will improve your experience in the kitchen. A good cutting board is hard to find, but we found three! The Nonslip Series Cutting Boards from Epicurean feature removable silicone corners that keep the cutting board in place during use. No more slipping and sliding while you are cutting and chopping. The board is dual sided. It is dishwasher and knife friendly. We love that this board is eco-friendly. You can use it as a trivet while cooking because it is heat resistant up to 350 degrees. The wood grain is non-porous so food odors will not be absorbed. Choose from 3 sizes: 11.5 x 9, 14.5 x 11.25, and 17.5 x 13, or surprise the home chef in your life with all three as a set. Perfect gift for everyone with a kitchen! 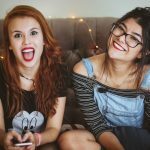 Epicurean is an incredibly unique cooking company. From the beginning, this company was like no other. It started when the owners of a company creating eco-friendly skateparks realized the wood composite they used was durable, non-pourous, food safe, and dishwasher safe. They started making cutting boards with leftover wood, and the rest is history. 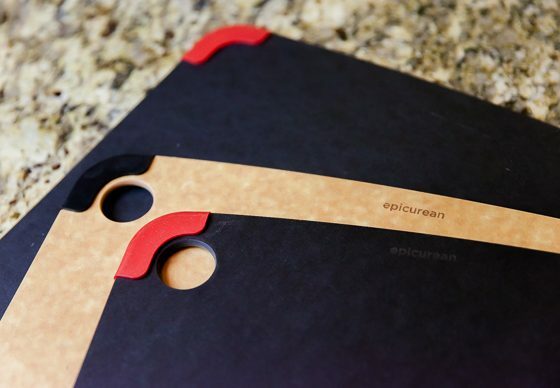 Epicurean is now a leader in the food prep industry. Everything they offer is created responsibly with quality and functionality in mind. Whether you are shopping for a brand new home chef or an experienced professional, Epicurean makes a great gift. You have never set a table like this before! 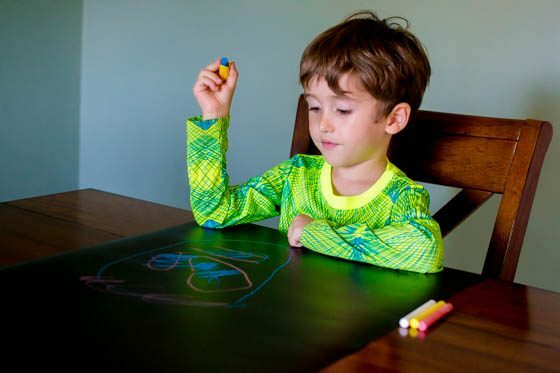 The Reusable Chalk Board Runner makes sitting down to any meal a blast, especially for kids. This runner is 18″ x 72″, making it long enough to stretch across a large table seating 6 or more. Roll it out and let the kids get creative before and after their meal, or use it to write all your guest’s names at their seat as an alternative place maker. Another fun idea would be to throw a wine tasting party and label the different wines right there on the runner. The possibilities are limitless. This reusable runner will be the go-to for any host or hostess when setting a table. It comes with their unique, patented ButterStix ZERO DUST Chalks and magnetic chalk holder. 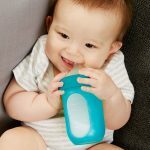 You know your family and guests are safe with this on the table because it is free of BPA, Phthalates, or PVC. 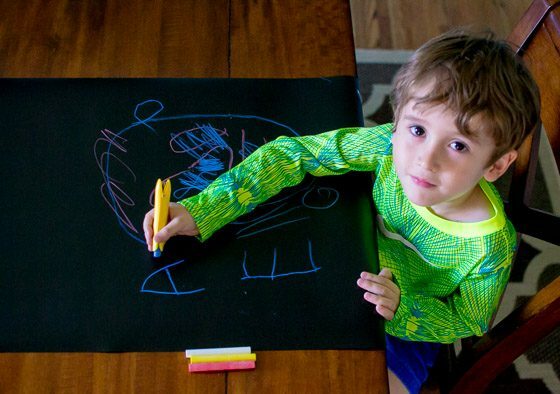 While the runner comes with chalk, we love the Jaq Jaq Bird Chalk Marker ButterPens for writing on the runner also. 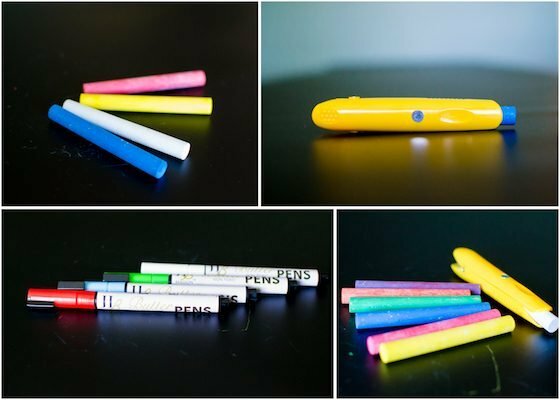 These pens give you a rich color and sharp, precise line when writing or drawing. 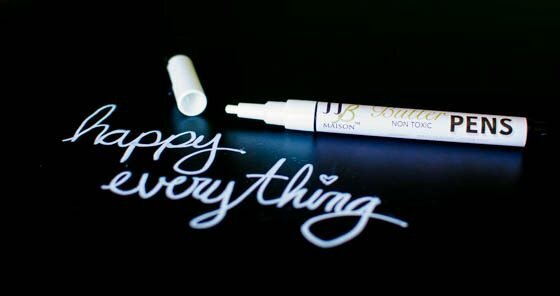 The reason they are such a great item to have for hosting is that you can write on other surfaces like glass with these markers. Toss a couple on the table and guests can label their wine glasses instead of you handing out wine charms or people losing their drink! For all your chalk needs, ButterStix® with Chalk Holder No Dust Chalk cannot be beat. This chalk writes so smoothly, like butter actually! They leave no messy dust behind. 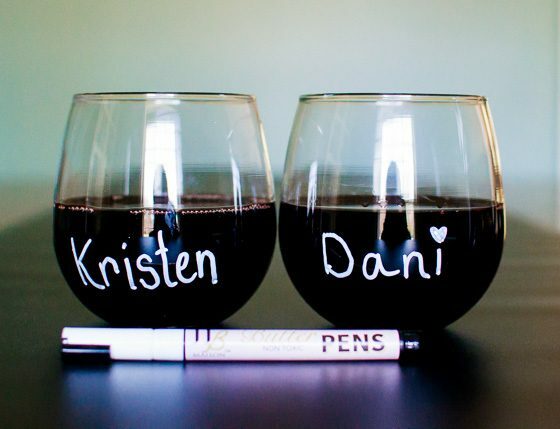 Like the markers, they write on glass and other non-porous surfaces. This set comes with 12 pieces of chalk and is totally kid friendly. If you have a chalkboard painted wall in your home, ButterStix® chalk is the way to go because you will avoid the dust that comes when writing with old school chalk. 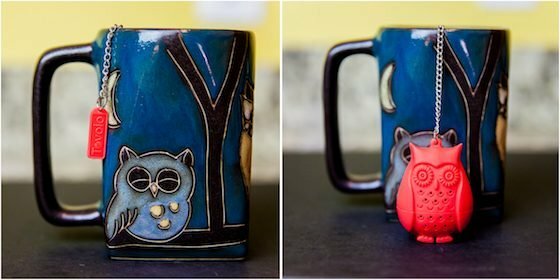 Perfect gift for families with kids who get bored at dinner or someone who loves setting a creative table when hosting in her home. Sounds amazing, right? The company actually began out of necessity. When Grace, the creators house was being remodeled/repaired and she had no kitchen, her family had to eat out a lot. Her kids hated the coloring book kids menus, so she invented Jaq Jaq Birds Chalk Mats and they were a hit. She continues to develop new products with the same spirit of creativity and necessity, making life more beautiful for families. Has the cook in your family overused their old can opener beyond repair? 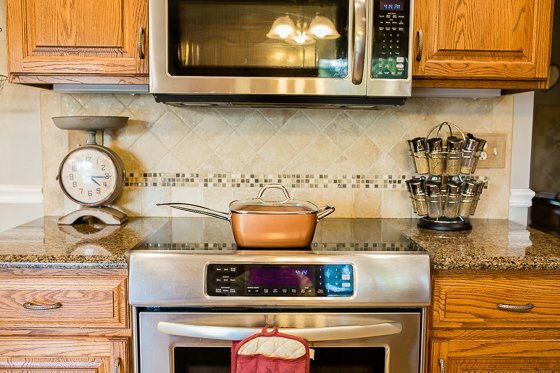 Tis the season for a small kitchen appliance upgrade! We love functional gifts, especially ones that we’ll use on a daily basis such as this Cuisinart Deluxe Stainless Steel Can Opener. A gift that removes the frustration of opening cans so we can more quickly feed our family? Yes, please. 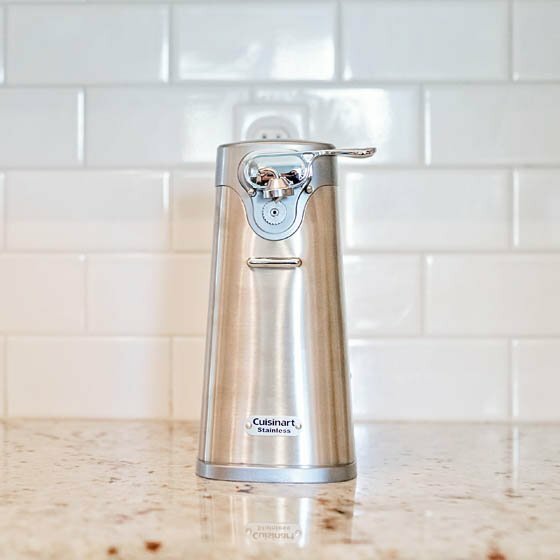 This freestanding can opener will perfectly match your other stainless steel countertop appliances for a cleaner, more polished kitchen. 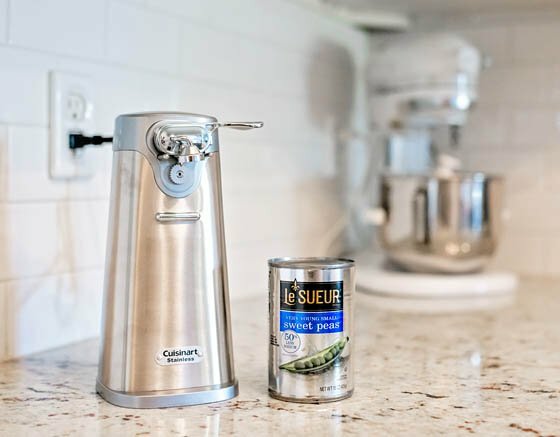 With one touch, the Cuisinart Deluxe Stainless Steel Can Opener makes short work of any standard size can. The precision Power Cut blade effortlessly slices through cans, held in place by the handy magnetic lid holder. In the event that you make a mess, Cuisinart designed the arm to be removable, making cleanup effortless. 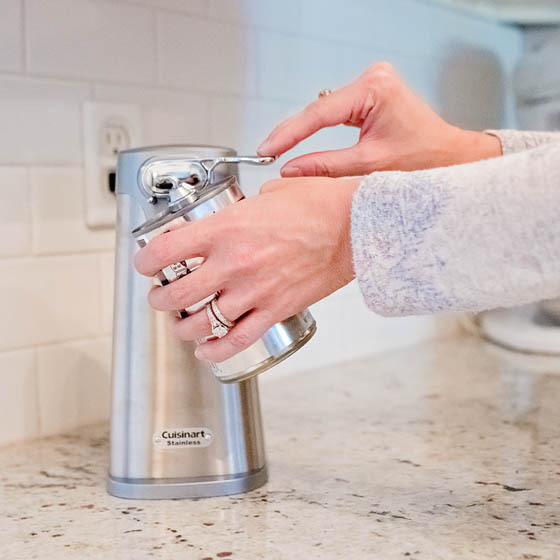 The freestanding can opener has an extra-wide base to prevent tipping, while the clean lines of the brushed stainless steel complement any other premium countertop appliances for luxury chef’s kitchens. 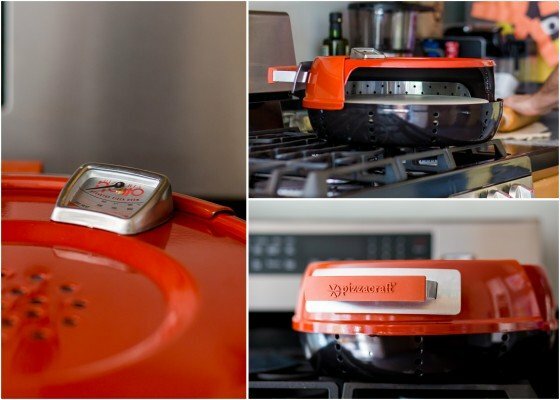 Perfect gift for the home chef in your life who wants to streamline their kitchen workflow. 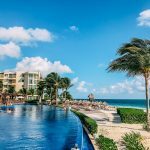 Cuisinart is a prestigious company known for being a full service culinary resource. Beloved by Julia Childs, Cuisinart is internationally known for offering top of the line kitchen products for every level of cooking expertise. 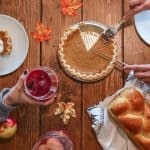 This company shot to popularity with their food processor, but today they offer innumerable tools for the kitchen that help you savor the good life. In addition to cooking tools and appliances, home chefs know they can trust Cuisinart for cooking techniques, tips, and recipes. One of the best parts about the holiday season is all the delicious treats and foods we are constantly consuming. But one of the worst parts about the holiday season is all the clean up that comes after all the eating! 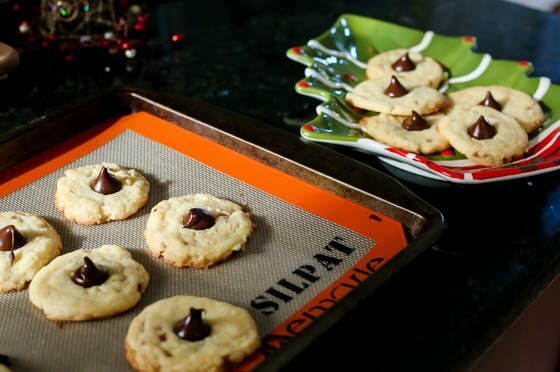 The Silpat Non-Stick Silicone Baking Sheet is perfect for all the holiday (and all-season!) bakers and chefs out there. 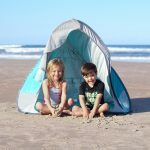 They are washable and reusable, making clean up a breeze and reducing waste. 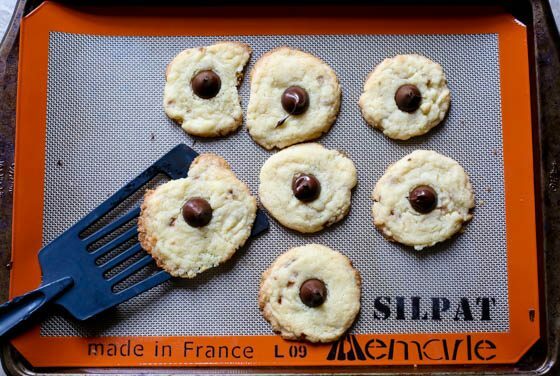 There is no need for grease, cooking spray, or parchment paper when using the Silpat baking sheets either. 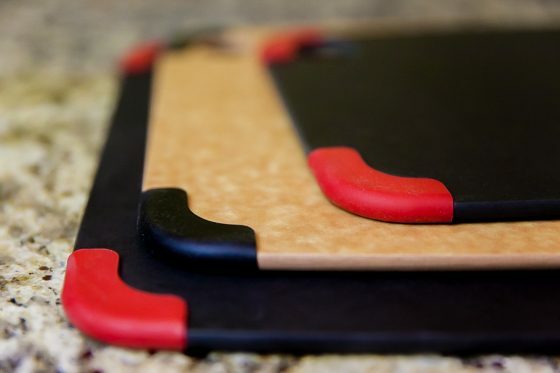 It is made from fiberglass and food-safe silicone, so you know it is durable and safe to use. 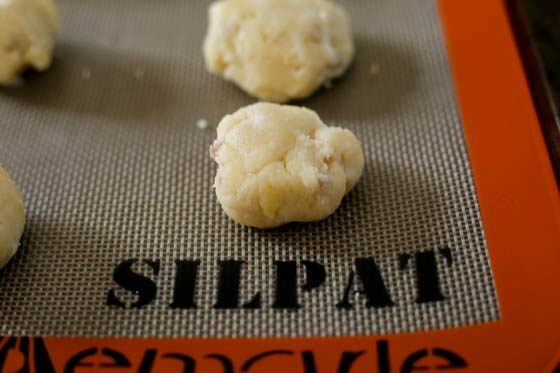 Each of Silpat’s products are FDA, NSF, and Kosher approved, giving gift-givers and chefs the assurance that they are cooking with a safe product. Silpat’s baking sheets come in a variety of sizes to meet every chef’s needs. They have smaller sizes like the jelly roll and medium size, designed for smaller cooking endeavors. They even have toaster oven and microwave sizes for those quick meal needs! Their US Half Sheet is the perfect size for a standard baking pan and easily fits inside a 13″ x 18″ pan, but they also offer a larger full pan size that fits a 18″ x 26″ baking pan. 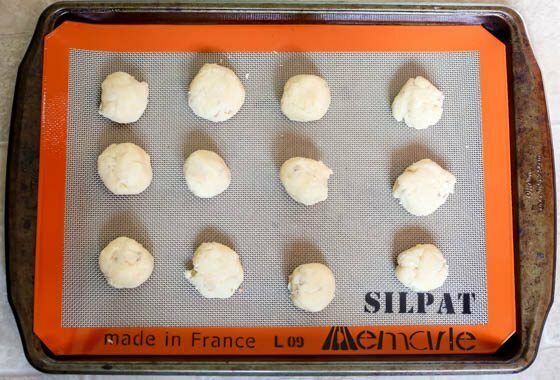 If you’re looking for a little help in your baking skills, Silpat also offers outlined pretzel, cookie, and macaroon baking sheets to help ensure your spacing is correct when baking. Perfect gift for any baker or chef during the holiday season! 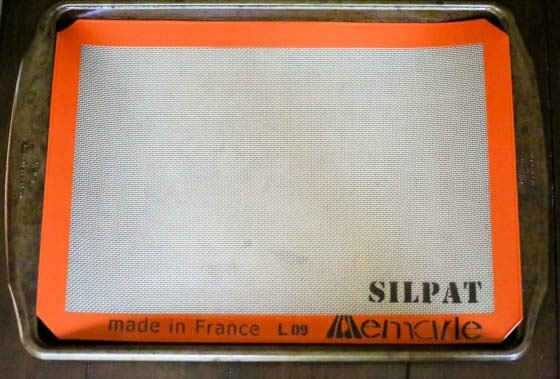 Silpat Non-Stick Baking Sheets are a part of the Silpat product line created by M. Guy Demarle in 1965 when looking for a way to make baguette bread using non-stick cooking products. After creating the first non-stick cooking pans, Demarle went on to create the patented Silpat baking sheet. 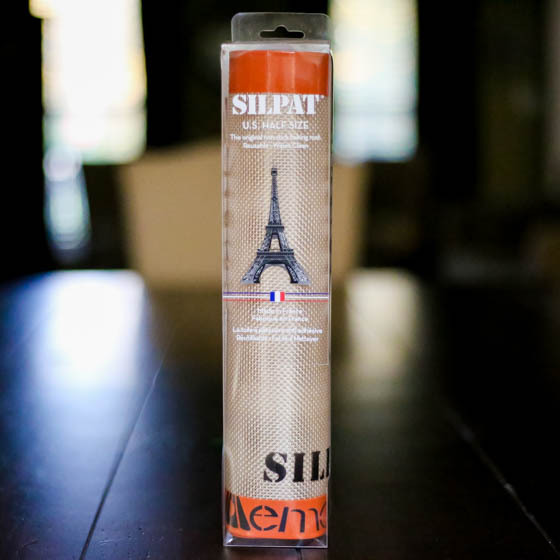 All Silpat’s products are created and manufactured in France. The Silpat family is committed to preserving the environment, and they pride themselves on being eco-friendly throughout the process of manufacturing. 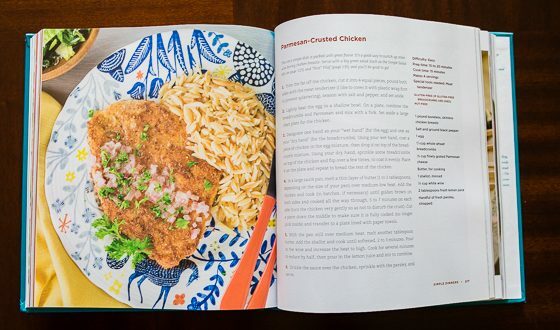 A classic holiday gift for the person who loves good food is a cookbook, of course! This year, gift a cookbook that encourages true health, clean eating, and family-friendliness. 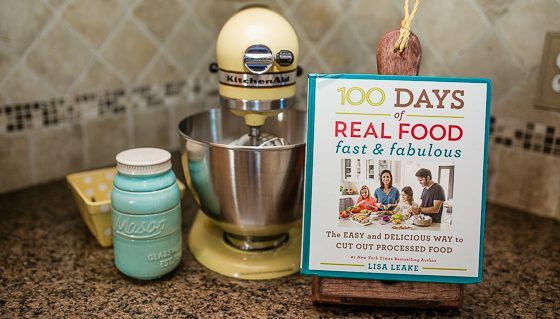 #1 New York Times Bestselling Author Lisa Leake is at it again with her second cookbook, 100 Days of Real Food: Fast & Fabulous: The Easy and Delicious Way to Cut out Processed Food, bringing loyal followers and foodies alike the best recipes, tips, and tricks to eating healthy quickly and easily, all while on a budget. Perfect gift for the busy home chef whose desire is to eat clean and keep the family healthy. 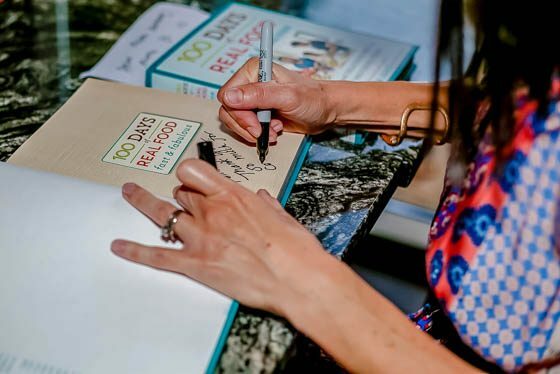 Lisa Leake, author of 100 Days of Real Food, along with her husband and two daughters took a “100 Days of Real Food” pledge back in 2010, eating only non-processed food, which opened their eyes to a whole different arena of eating and lifestyle change. Lisa was so excited about what she and her family had discovered, she wanted to share it with the world, and that’s exactly what she did. 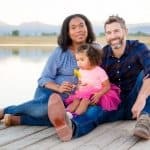 After launching a food blog and creating “Real Food Pledges” and gaining popularity through that, her next venture was writing a book. She is currently launching her second cookbook, and giving everyday men and women the chance to eat healthy fast and fabulously!